Could the Porsche Taycan and Audi E Tron GT be Delayed due to Tesla? Many expected the Porsche Taycan and Audi E Tron GT to be the first to disrupt Tesla’s space in the EV market. It’s looking like they both might just be in over their heads. According to a Germany’s Manager-Magazin, a source first discovered by Electrek, Audi and Porsche are both in awe of Tesla’s achievements. For those that didn’t read our “Everything We Know About the Porsche Taycan” article, the PPE (Premium Platform Electric) is the platform being developed jointly between Audi and Porsche. We do not know which vehicles will use the platform but expect to start seeing it sometime in 2020 – 2021. 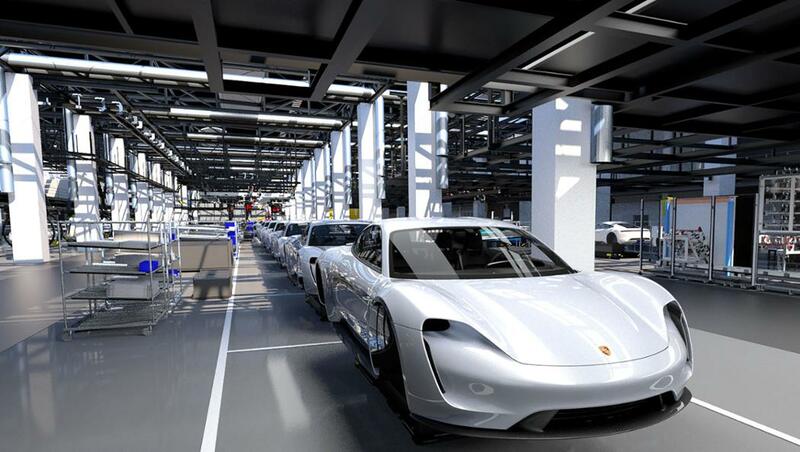 The Porsche Taycan, Audi E Tron GT, and variants are actually being built on the J1 platform, a completely separate platform developed by Porsche. With the Tesla Model 3 finally entering Europe, some manufacturers are reverse engineering it to learn more. We saw reports last year of a German manufacturer importing the Model 3 at a ludicrous cost in order to do the same, but first. It looks like Audi and Porsche are just now getting around to it. According to the report, the first PPE prototypes were costing significantly more than their target. About €3,000 (~$3,380) too high. According to the source, Porsche would have accepted the loss on their cars but apparently, Audi would not. The companies are reportedly considering delaying the PPE platform in order to achieve a more competitive price point against Tesla. One of the more costly factors in an electric car platform is the batteries. They can cost of to 40% of the vehicles total cost. 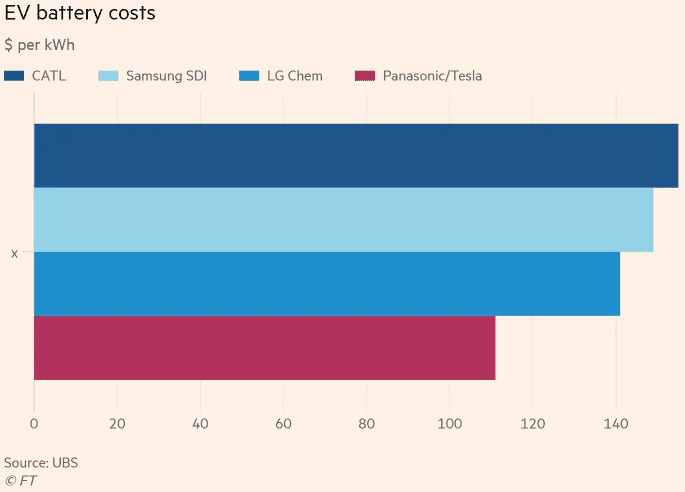 Tesla and their supplier, Panasonic, currently leads in the most cost efficient battery cells. Could this delay the Porsche Taycan and Audi E Tron GT? Probably not as they’re already green-lit for production on an entirely different platform. But who knows, the Audi E Tron has already been delayed a few times. The lack of confidence shows that Tesla’s margins might exceed that of their initial competition in the luxury electric car segment. We already know all upcoming electric car manufacturers will either lose money on cars or take a hit in profits at first. It’s all a matter of how much they’re willing to lose today in order to make more tomorrow. Audi’s first fully electric car, the E Tron, is still delayed. We can only hope that these manufacturers get a bit more organized come around the Porsche Taycan and Audi E Tron GT release. Tesla is not just disrupting the electric space, they sold ~245,000 cars last year. Just shy of beating Porsche and their ~256,000 international sales. Tesla is clearly ahead of everyone in the electric car market but with Volkswagen AG’s (parent company of Volkswagen, Audi, Porsche, and others) pledged $91 billion into electric cars and battery tech, they’re sure to eventually catch up. Out of touch – the Taycan has sold out its first year’s production and thus will outsell the Tesla Model S in its first year. The Model 3 has nothing to do with the Porsche and the battery prices are not those of the Model S.
When Porsche said they sold out the first year, they literally meant the first year. We expect deliveries to begin in the second half of 2019. 2020 has not sold out yet. Original annual production for the Taycan was set at 20,000 and later increased to 40,000. They’re sold out against what they can produce, not the annual goal. The production ramp will take time as Porsche is still building and expanding new facilities for the Taycan. Tesla sold 50,630 Model S’s last year so even at Porsche’s stated annual production goal, they will not surprass Model S sales for a few more years. UBS did not state which one of Tesla’s battery cells were used in their data. A new cell for the S & X with a higher density is already rumored to be in the works. The PPE platform will not be used for the Taycan. 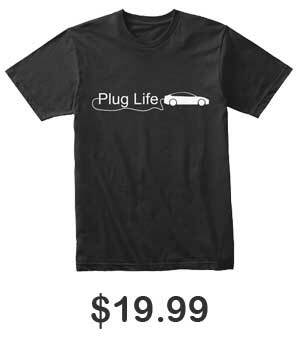 It will be used in future development on lower costing cars to compete against the Model 3.